Posted in: Joomla. Tagged: joomla, template joomla. Bạn nghĩ gì về bài viết này? Get creative ideas from the strength, dynamic and freshness of sports, SJ Sport store is built with flat design, harmonious color combinations, clear layout, so it’s really suitable for sports store such as sporty equipment, sports accessories, sportswear… Beside that, this is a multi-purpose theme, you also can easy to customize for any product range. Posted in: Joomla, Template. Bạn nghĩ gì về bài viết này? Posted in: Template. 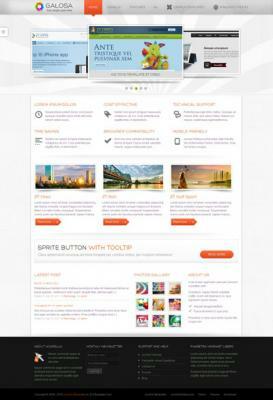 Tagged: joomla, opensource, opensourcejoomla, template joomla. Bạn nghĩ gì về bài viết này? Building a mobile, Android or iPhone application website? This template is exactly what you need to build an astonishing project and present your applications in an attractive way. It is suitable not only for mobile applications presentations but you can also use it for your portfolio. Surprise your visitors with your breathtaking website! This template provides web developers with a highly professional and trusted design so as to catch up with the modern world and fast developing technology. Don’t waste your time, join us now and use this amazing template!